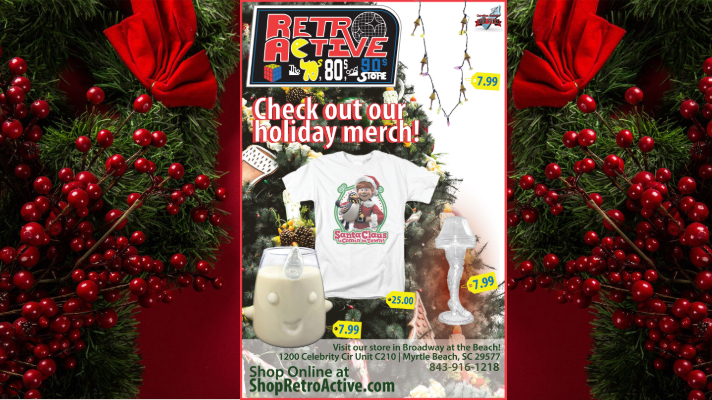 Shop for new Christmas merch at 👕 Retro Active!🎸 It’s the best store for the geeky, trend-setting or nostalgic who just want something that reminds them of their childhood. Don’t feel like driving to Broadway at the Beach? 📱Call 843-916-1218 or order online on our website!